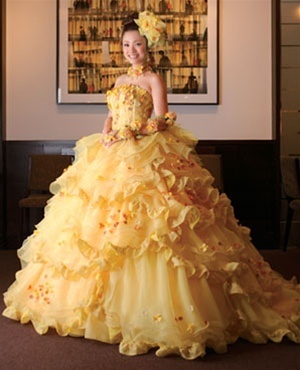 This Fabulous Belle Yellow Wedding Dress is made with Beautiful layers of Organza. It's available in any color with custom modifications. Perfect for a Beauty and the Beast Themed Wedding.